When you are going buy a new game console, it's a good idea to do some research first to learn exactly what's available, and what you want out of a game system. For example, you'll want to consider the games that are available for a system, and whether game developers are actively producing new titles for it. Backwards compatibility, online play, multimedia capabilities are also considerations that may steer you toward the game console that is best for you. This buyer's guide examines what the available Xbox consoles offer, and how to get the most out of your system. Native 4K UHD resolution and HDR. Select remastered Xbox 360 titles get improved graphics on Xbox One X. Smaller footprint than the Xbox One S and Xbox One. Released in November of 2017, the Xbox One X is billed as "the worlds most powerful console." Featuring ultra high definition (UHD) 4K resolution games with high dynamic range (HDR), games look stunning on a big 4K display. The system features a 2.3GHz, 8-core AMD CPU, and 12GB GDDR5 graphic memory with a bandwidth pipeline running at 326 GB/sec that allows those high detail 4K animations to glide smoothly across the screen. The Xbox One X also offers superb quality sound, and if you have the audio system that supports Dolby Atmos, your ears will be duly delighted. The system includes the improved controller that is comes with the Xbox One S. It is backward compatible with Xbox One games and some Xbox 360 games. A few Xbox 360 games like Halo 3 and Fallout 3 have gotten a graphics facelift for play on the Xbox One X. Less expensive than Xbox One X. Smaller footprint than Xbox One. Has only one HDMI output. No native 4K games—only 4K upscaling. The Xbox One S debuted in August of 2016. It has access to the extensive library of Xbox One games and is backward compatible with some Xbox 360 games. The system has a built-in Ultra HD Blu-ray Disc player and supports movies with HDR. offers 4K video streaming from apps like Netflix as well. However, there is no native 4K gaming, but games can be upscaled to 4K resolution. The Xbox One S includes a revised and improved Xbox One controller. Very affordable compared to newer Xbox models. Access to all of the titles in the Xbox One library. Compatible with the newer, improved controllers. Larger footprint and a bulky power supply. Older hardware and sometimes slower performance. Blu-ray player is not compatible with UHD Blu-ray discs. The original Xbox One was released in November 2013 and was a big success. The controller that came with it was excellent, and the game library for the console is top-notch with plentiful titles. The Xbox One has since been replaced by the Xbox One S and is no longer being manufactured, though you can still find original Xbox One consoles for sale, usually used or refurbished. Xbox 360 systems are more difficult to find these days, and you'll likely only find used models. Older Xbox 360 hardware had quite a few issues that led to breakdowns. Before buying a used system, always check the manufacturer date, which you can see on the back of every Xbox 360 console. The more recent, the better. The Xbox 360 had a full suite of family safety functions that parents can access. You could set timers for how long your kids were allowed use the system, as well as set content limits for what games they could play and who they were allowed to contact and play with on Xbox Live. Extra controllers, steering wheels, arcade sticks, Wi-Fi adapters, memory units, and more are all extra accessories you can consider buying for your Xbox 360. The Xbox saw several hardware iterations since its original launch. The Xbox 360 launched in November 2005 and saw two main variations. The older model Xbox 360, referred to as the "Fat" system, came in configurations of 20GB, 60GB, 120GB, and 250GB in a variety of colors. They had Ethernet connectivity but did not have built-in Wi-Fi. This requiring the additional purchase of a special dongle. Original "Fat" systems were prone to experience a Red Ring of Death—three lights on the front of the system flash red—or an E74 error. Both of these were caused by the system overheating. As time went on, the systems became more reliable, so, again, if you're shopping for a used Xbox 360, the later the system's manufacture date the less you should have to worry overheating errors. There are a few steps you can take to extend the life of these older systems, most notably keeping it clean and making sure it has good airflow around it. In June 2010, the Xbox 360 Slim was released. It had a smaller and sleeker footprint, included built-in Wi-Fi, and either a 4GB or 250GB hard drive. Also, the overheating issue was addressed. The 4GB hard drive on the Xbox 360 Slim was simply too small, and it was wiser to go with the 250GB hard drive. You could purchase the Xbox 360 add-on external hard drive to increase the 4GB system, but it was pricey. It should be noted that Xbox 360 Slim systems did not come with high-definition video cables to connect them to your TV. They only come with red-yellow-white composite cables; for higher definition screens one had to purchase a component cable or HDMI cable separately. At the time, the type and quality of HDMI cable one purchased was of less importance—getting an expensive cable did not translate into a better play experience. However, this is not the case with new Xbox systems, particularly those that support 4K and HDR displays and require HDMI 2.0 cables with the bandwidth necessary to realize the full quality the console is capable of producing. In 2010, Microsoft launched a new motion control device for Xbox 360 called Kinect that allowed users to play games without a controller. With Kinect, you could move your hands and your body or use voice commands to control games. Kinect was available on its own or bundled with the Kinect Adventures game. You could also buy Kinect bundled with Xbox 360 Slim systems. Once again, we recommend the 250GB system if shopping for the older Kinect system. Kinect is entirely optional. Unlike the Nintendo Wii console where motion controls are the centerpiece of the console's gameplay, the Xbox 360 with Kinect launched with around 15 games, and more came afterward. However, the popularity of motion controlled games (to be replaced with newer virtual reality (VR) based gaming) and developer support eventually declined. These features are available to all Xbox models, beginning with the Xbox 360. There can be variations in the graphic quality of games, for example, as newer consoles like the Xbox One X are much more advanced and can play games in native 4K resolution when it's available a the title. Perhaps the primary reason you should get an Xbox is because of all of the great games available on the system. Xbox offers great first-person shooter titles and multiplayer games. The Xbox has firmly established itself as a top gaming console, so there are plenty of excellent games already out and forthcoming, including popular titles exclusive to the Xbox. Plus, there is backwards compatibility in each Xbox console that lets you play older games on the new systems. Not all past games can be played on newer systems, but many can be. Xbox Live, the online Xbox store, and downloadable game center, is available in two flavors. The free version lets you download demos and games, access entertainment apps like Twitch and Netflix (which requires a separate Netflix subscription), send messages to friends, and Skype. However, you do not get multiplayer online play. Xbox Live Gold is a paid subscription service that costs $60 per year (though you can usually find it discounted when you look for Xbox Live Gold deals. With a subscription you can play online with your friends, access to select games for free that vary each month, and more. You can also purchase and download full versions of Xbox and Xbox 360 games, and indie games. With Xbox Live Gold, you also get a substantial discount on these game purchases. You can also buy TV show episodes and rent or buy movies. There is also Twitter and Facebook support so you can update your friends on what you're doing right from your Xbox dashboard. You can buy Xbox Live subscriptions either on your console via credit card, or at retailers in 1, 3, and 12-month subscriptions. We do not recommend that you buy or renew your subscription using credit card on your console, as it defaults to auto-renewal, and it can be difficult to turn off. Use subscription cards from retailers instead. You can activate Xbox Live subscription either on your Xbox console or by visiting Xbox.com. This subscription service is available for the Xbox One. It grants unlimited access to a large library of Xbox One and Xbox 360 game titles. You can download and play the full games anytime you want while you have an active subscription. You can purchase games from the Xbox Game Pass library to keep at a 20% discount as a subscriber. The Xbox Live Arcade is a collection of games available for download for anywhere between $5 to $20. The games range from classic arcade games, to modern re-releases, to completely original games designed specifically for XBLA. New games are added regularly. 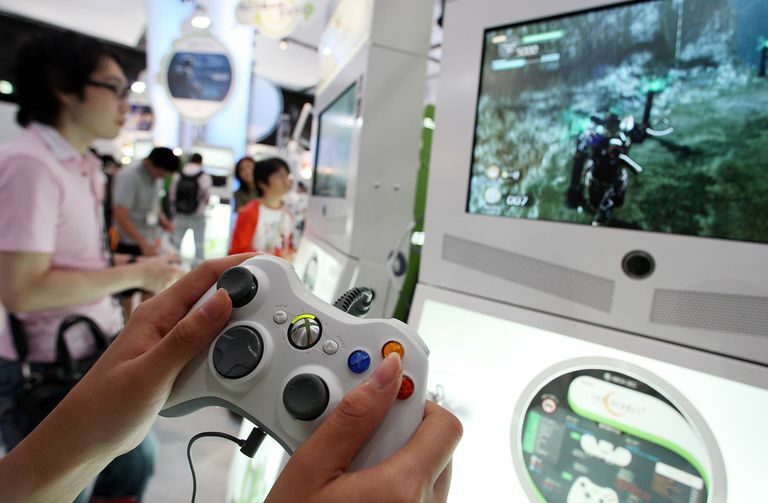 For many gamers, the Xbox Live Arcade is the highlight of the Xbox 360 experience.